Like the little known Vixen superhero, the Vixen Skirt will help you dig deep to find your animal instinct to overcome the barriers that stop you from being at your best. Feel the freedom in running while wearing Vixen! This stylish longer length skirt will help you easily switch to your “cover” life– the busy woman with responsibilities who doesn’t always have time for the wardrobe change. 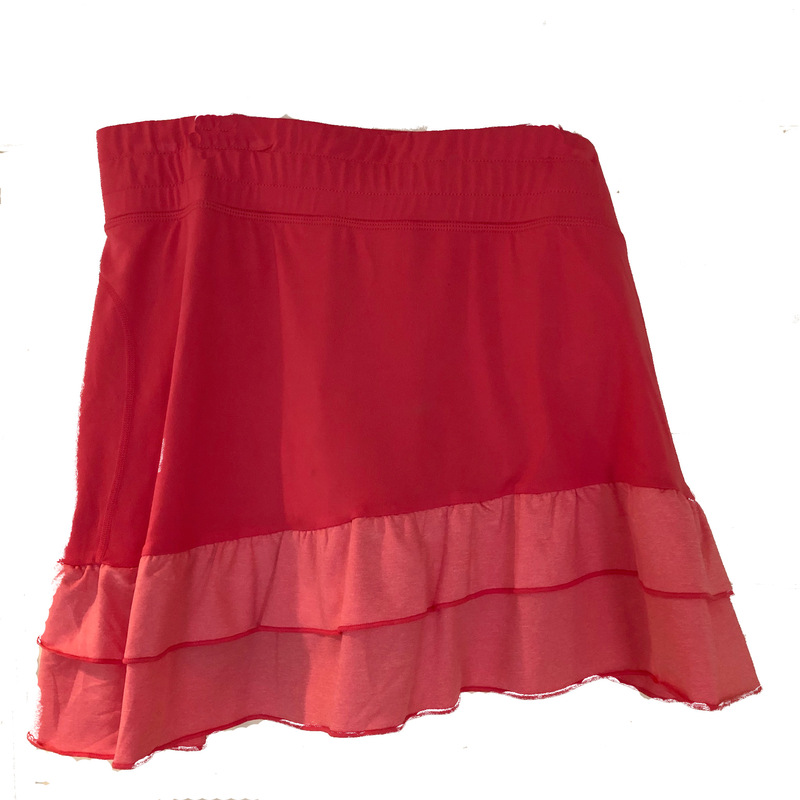 Two rows of ruffles circumference the bottom of the skirt with a slight lift on the right side lending a peak at the shorties, i.e., your secret power – your strong quad!